We offer a large range of landscaping services throughout the Illawarra, Wollongong and Shellharbour, Shoalhaven and Southern Highlands regions. 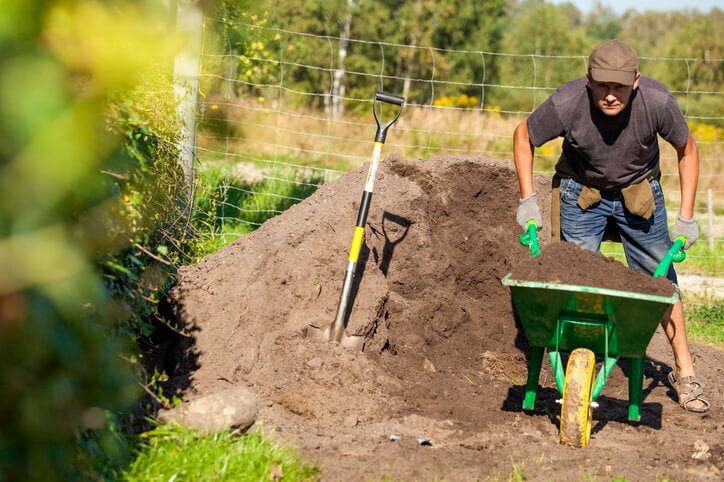 We have a great deal of experience in working with small and large projects alike, so no matter how big or how messy your garden is, we are ready to get the job done! Hard Landscaping – As the hard landscaping & construction will form the template of your final garden design, it is important to get it right from the very start so that the finished product is both beautiful and lasting. Our in-house expertise and experience ensure you get a quality outcome that you can feel very proud of. Residential landscape renovation and reconstruction is a specialty of Jungle Gardens. We have extensive experience designing gardens and outdoor spaces to enhance and complement an existing site, buildings and features as well as garden and recreational areas. This can involve paved areas, retaining walls, garden edging as well as a new lawn, planting and mulching. Soft Landscaping – If your garden is in need of some TLC or you are looking to create an outdoor space you can enjoy with friends and family Jungle Gardens can assist you in all your soft landscaping needs! We supply and lay turfing, mulch, pebbles, plants and much more transforming gardens into beautiful spaces that deserve to be shown off to all your friends. We can help you create a planting scheme that is beautiful & practical and suits both your aesthetic and lifestyle. Landscape Design – At Jungle Gardens designing an outdoor space is not just an art, it’s a science too. Before any construction starts we can also draw a plan of your garden, bringing value for money through good design. It’s a small investment at the start of your landscaping project but is worth every cent to ensure you have a set of directions to follow during the construction phase and providing you with peace of mind. Jungle Gardens also offers a commercial landscaping service to ensure your business premises are visually appealing to staff, customers and all passers-by. We understand that no matter what industry your business is in, commercial properties require easy-to-manage gardens that look beautiful and lush at all times of the year, and our highly skilled team know how to provide that on time and on budget. We know that no two projects are the same, and we are prepared to deliver a tailored design for your property that is stylish yet functional. Whether new or additional landscaping, lush lawns, a manicured flower bed or the perfect selection of plants, we will endeavour to provide the ideal result to compliment the space. Regular maintenance is an important part of any garden, and we would love to help you ensure your new garden is healthy all year round. Check out our Grounds Maintenance services for more information on how we can assist you. Beautifying your landscape is our top priority and we go above and beyond to provide you with the best result possible. At Jungle Gardens we specialise in soft garden landscaping, which means the aspects of gardening that do not involve construction like turfing, planting, and mulching. These are all cost-effective ways of revitalising your garden without undergoing major landscaping. We don’t stop there though. If you require retaining walls or garden edging, we can complete these structural additions for you too. We can also increase the appeal of your landscape through the restoration of your timber areas. Timber beautification, such as the rejuvenation of existing retaining walls, garden edging, or decking, is another specialty of Jungle Gardens. We will clean, repair, and stain your timber to make your landscape look like new. While our landscaping services are varied, they can be tailored specifically to your garden, and are guaranteed to make it look picturesque.